About 14 hours after enforcing 96 hours strike across the country, jute mills workers called off their protest programme around 10:30pm on Monday following a meeting with the government. Leaders of the agitating workers announced to withdraw the strike after a meeting in Dhaka with the authorities concerned, said Platinum Jute Mill CBA President Shahana Sharmin. At the meeting, decision was taken to clear workers’ dues for 10-week by April 25 and the salary and other dues of the officials and staffs will be paid within three months. Besides the meeting also decided to implement the wage commission immediately, said the CBA leader. 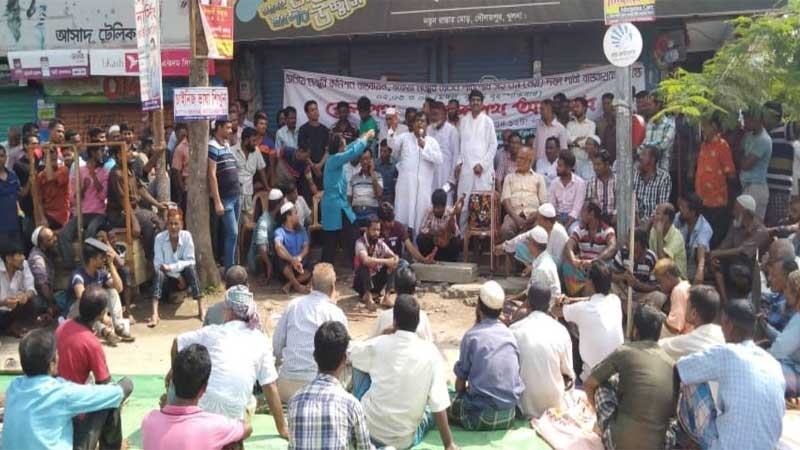 Earlier in the day, workers of jute mills across the country including state-owned mills in Khulna region started their 96-hour strike from 8am to press home their nine-point demand that includes payment of outstanding wages and implementation of the wage commission. Meanwhile, production at all jute mills has begun from Tuesday morning.